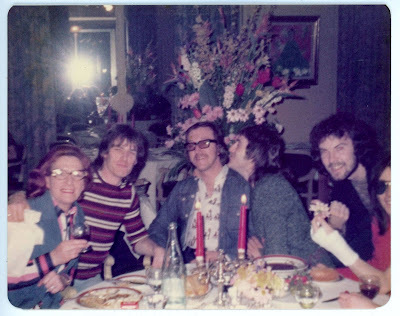 L-R Rose, Trevor Jones, Alan Crowder, Paul, unknown, Jimmy McCulloch. Looks to be about 1976. That's what I said in the first comment above. After zooming-in again to the photo, if anyone, it looks like Denny Laine.